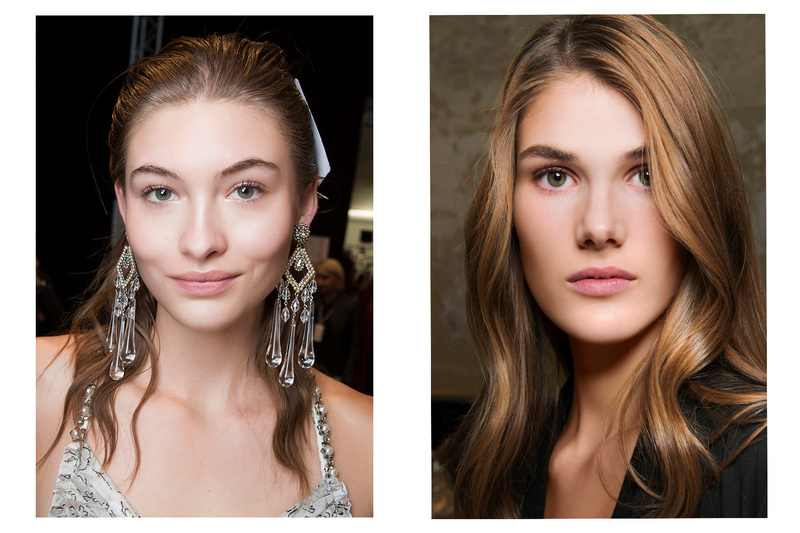 Hot off the runway, we bring you the latest hair, makeup and nail trends that you need to know about now.. 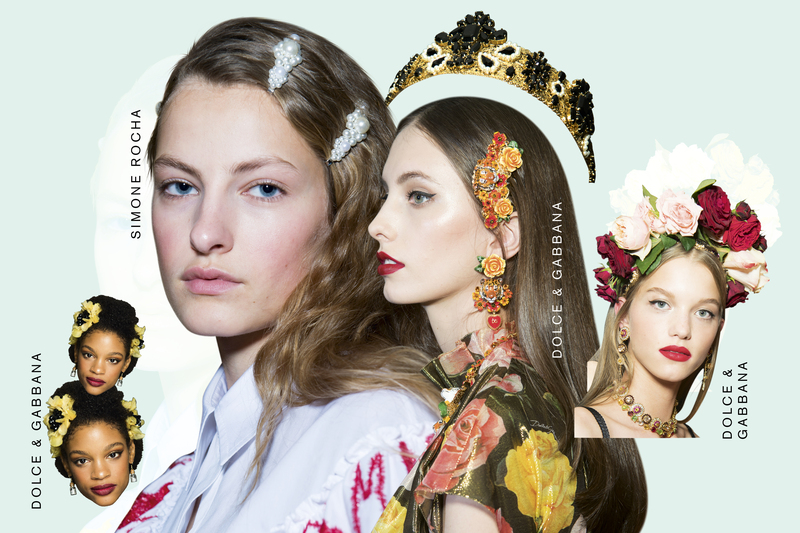 If you’ve found yourself stuck in a beauty rut of late (something we’re all guilty of from time to time) there’s nothing like a new round of catwalk shows to shake you from your slumber and inspire you to try something a little different. Whether it’s an extreme graphic liner, a crystal nail trinket or a sprinkling of glitter, this season there really is something for everyone. 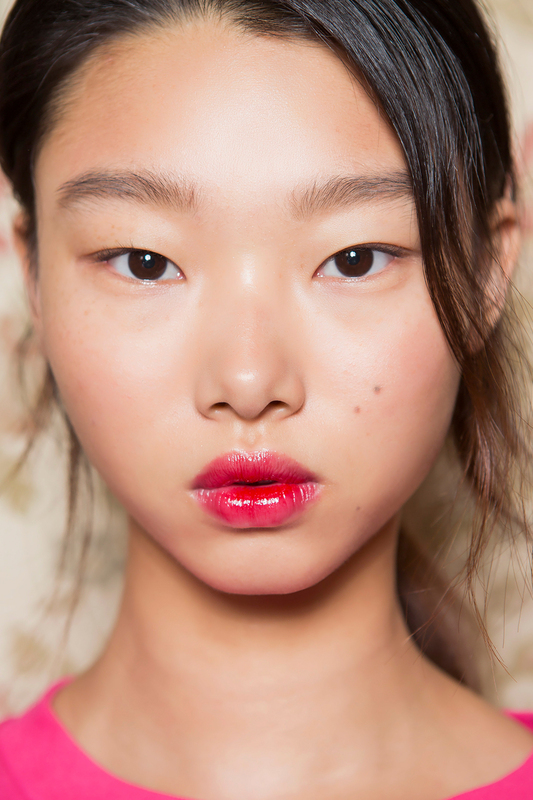 So keep scrolling to see our pick of the biggest, and best, beauty trends from the shows at New York, Paris, Milan and London. 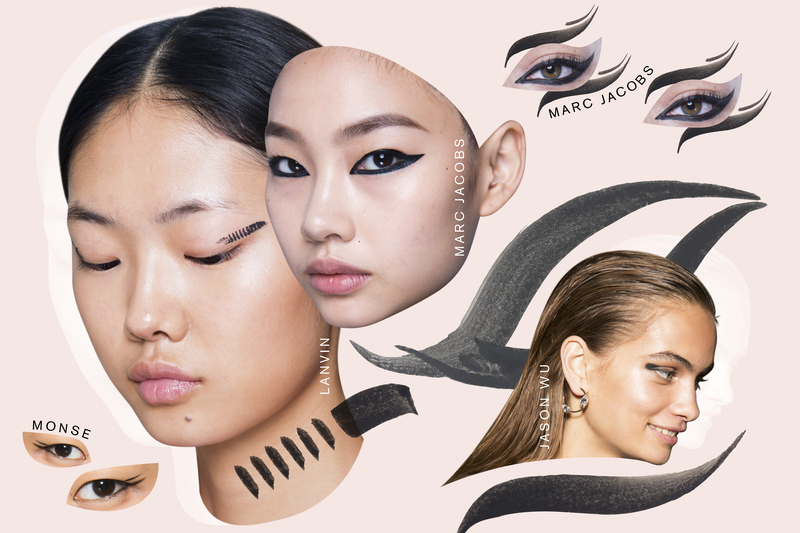 Jet-black liner is nothing new, but what is different this season is the placement. Rather than simply hugging the lash line, it can sit anywhere you like, depending on how experimental you’re feeling. At Monse, flicks were ultra fine and layered on top of one another over the corner of the eye. Lanvin’s kohl liner started high up in the crease with a flat, chunky sweep of black. 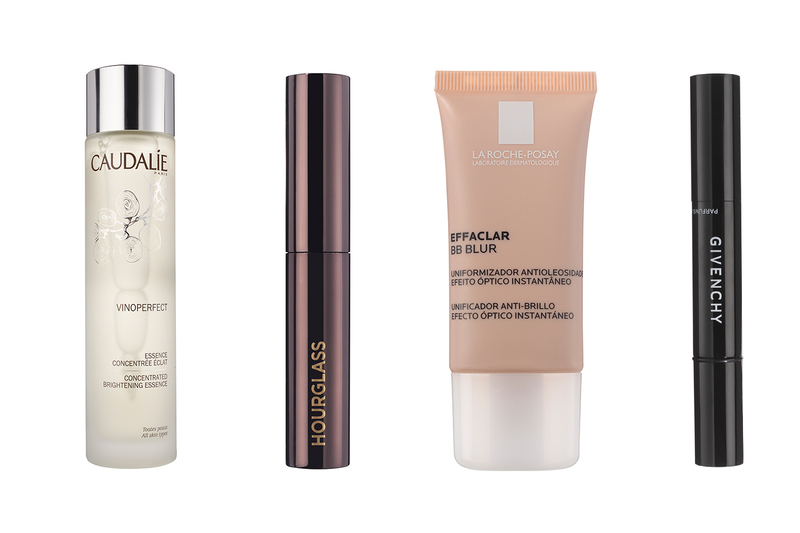 You could try an opaque, almond-shaped swoosh à la Marc Jacobs to make peepers appear wider. Or, in perhaps our favourite incarnation of the lot, imitate everyone’s beloved Disney princess, Pocahontas, with a rectangular smudge of liner over the edge of the eye, as spotted at Jason Wu. The bottom line? Everything’s possible – you can be as brave and bold as you like, so have fun and experiment. 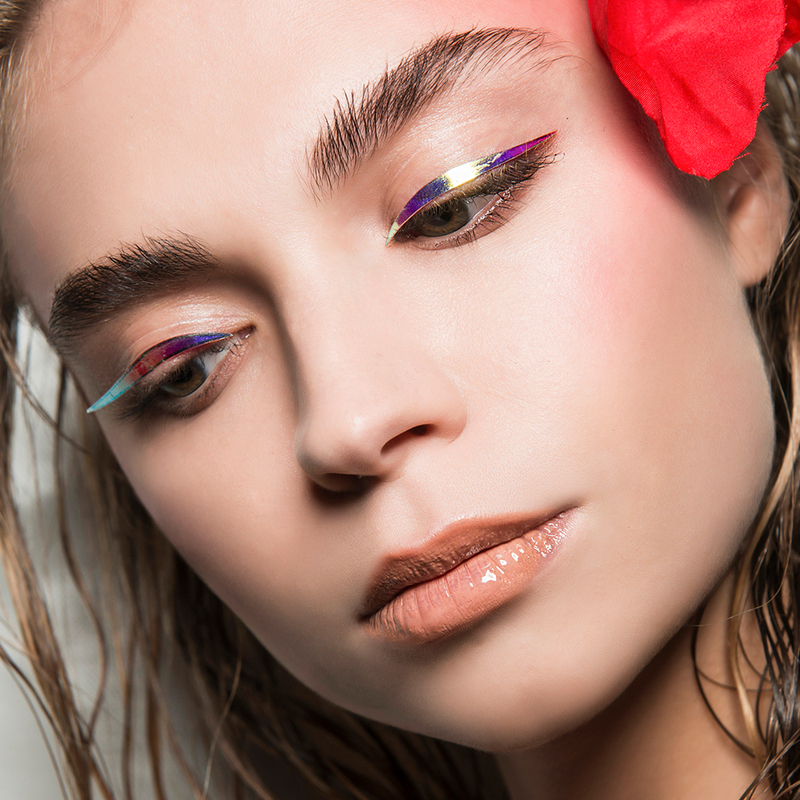 Check out our edit of the best liquid eyeliners that’ll help you nail this look. If we had to sum up the mood of SS18 in a single word, it would be ‘peacocking’ – AKA make-up that, once applied, immediately induces a certain kind of swagger. But it’s not just the attitude of the big bird that we’re emulating; the colours of its showstopping plumage are on trend, too. 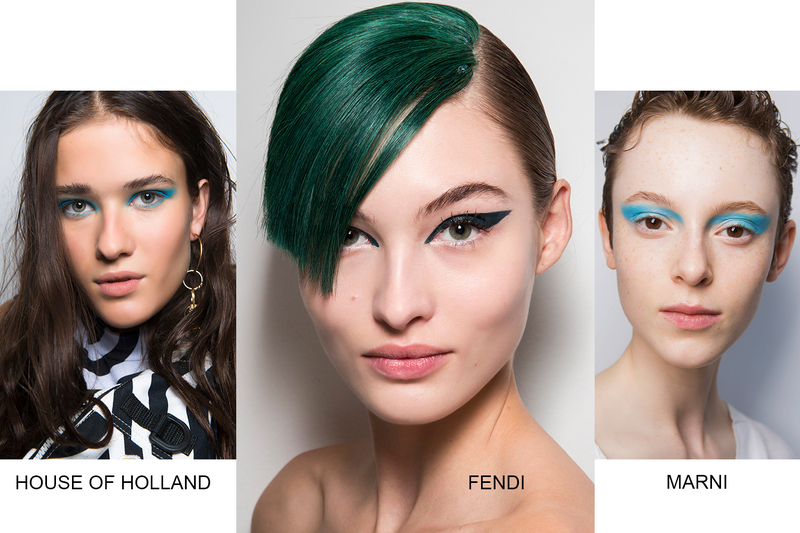 A swoosh of inky metallic blue lit up eyes at Marni, while Fendi was all about the emerald flick. ‘The key is to explore without caution,’ advises make-up maestro Pat McGrath, who created the Fendi eye. 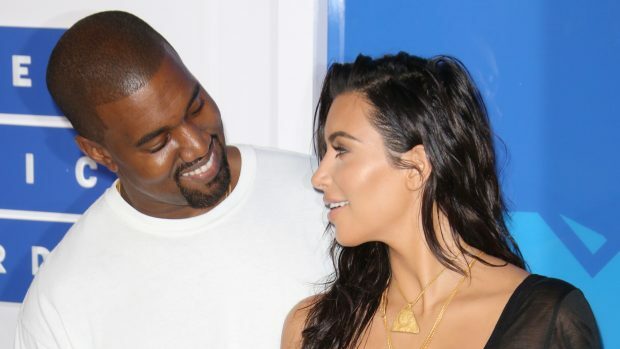 ‘I used a really vibrant hue called Blitz Emerald from my Mothership II: Sublime Eye Palette (about £93. 48; Patmcgrath.com), which pops against all skin tones.’ If you’re feeling a little more daring, channel Tracy Reese and wash the whole lid with an opulent jade shade for an attention-grabbing finish. Who said sparkle was just for Christmas? 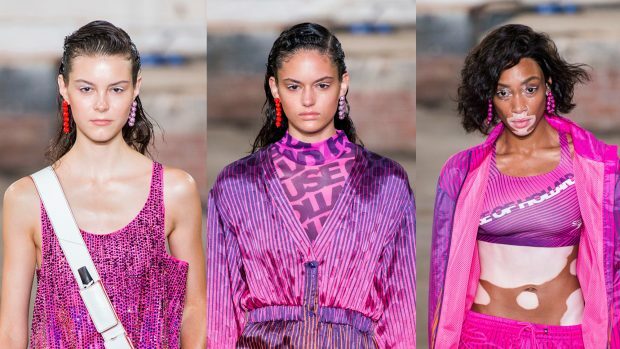 At Dries Van Noten, models rocked gems in hairlines, on lips and around eyes, while at Jeremy Scott, a trio of glinting stones were applied in ascending size from the inner corner of the eye for a space-age twist. Fancy taking a step back in time? Get yourself a beauty spot to rival Cindy Crawford’s by placing a single gem high on the cheekbone, as at Givenchy. Glitter also had a moment, with Shrimps showcasing another way to rock grown-up glitz: with a sequin pout. If you want to try it yourself, start by ‘slathering on MAC’s Lip Conditioner £12.50, as it’s creamy enough to hold everything in place and gives a great glossy base,’ advises MAC senior artist Rachel O’Donnell. 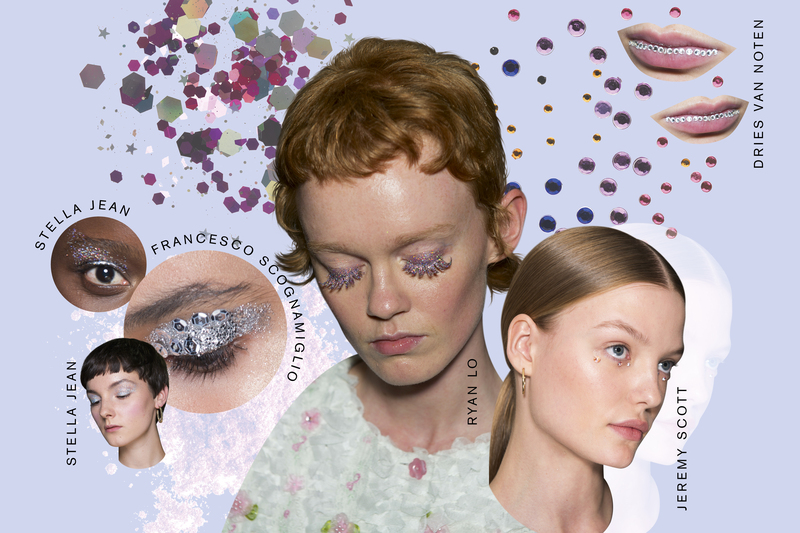 ‘Then use your finger to press in sequins for a playful scattered effect.’ If you want to take it to the next level, coat a set of falsies in glitter pigment like Ryan Lo, for an out-of-this-world lash look.